Happy New Year LDV Readers!!! It's Vanessa Stern from Vanessa & Valentine back with another installment of my new series all about color. As my maternity leave is winding down (I return to work in 4 weeks = sad face) and the holidays are over, I've been tirelessly cleaning out my closet, donating things to friends and family, and researching some new styles for a fresh start to 2013. After 2 pregnancies, my style (and body) have definitely changed. 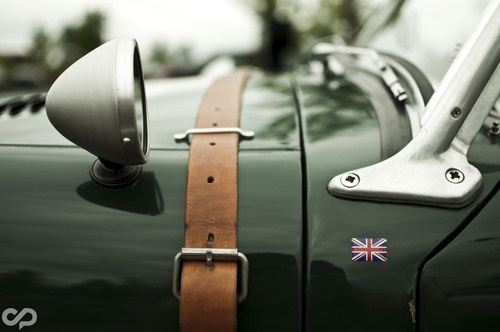 British Racing Green (or as some call it Hunter, Emerald, Moss, or Forest) has become my new color obsession. I keep finding myself drawn to this color so I wanted to share with all of you a few ways to incorporate it into your wardrobe and interiors. 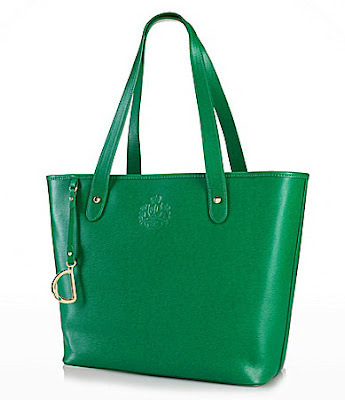 I recently purchased this Ralph Lauren Newbury Tote on sale at Macy's. It's the perfect bag for work and to carry baby supplies since it's so roomy!!! I highly recommend this bag to anyone and if you don't like green it comes in many more colors! 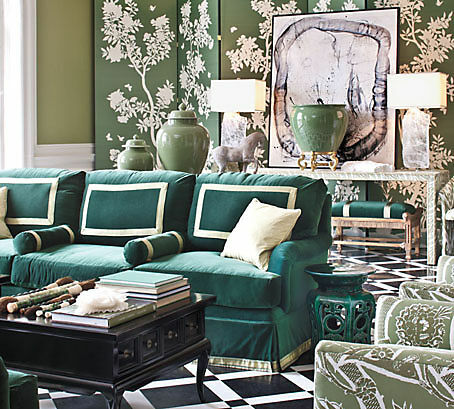 I'm seriously wanting a green couch like the one Nicole Cohen used here...so regal and modern at the same time! I had to include my favorite style icon Olivia Palermo in this chic ensemble mixing green, gray, and yellow. I want that blazer!!! 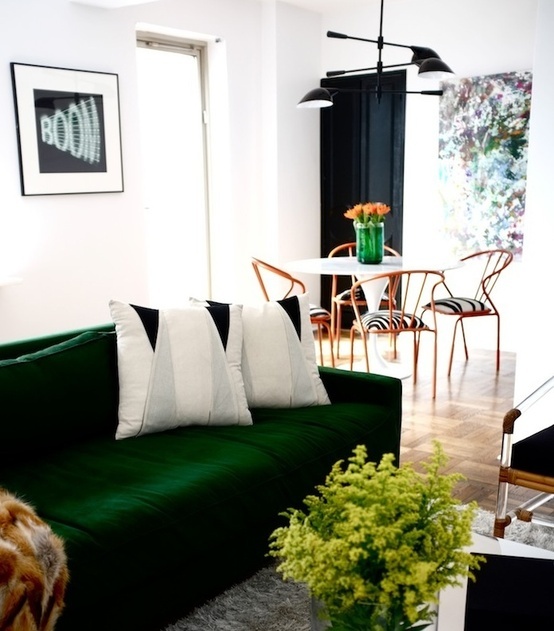 Michelle Nussbaumer gets it just right with this beautiful green couch and walls. I could live in this room! 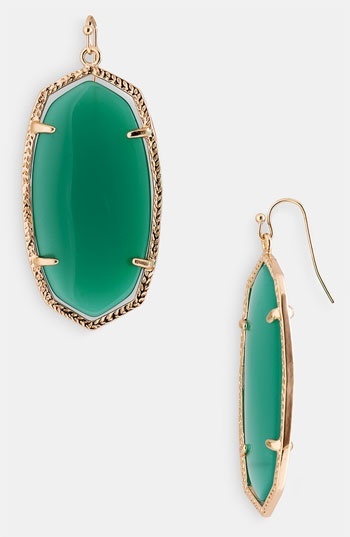 These are my favorite Kendra Scott earrings when I want a little pop of green. 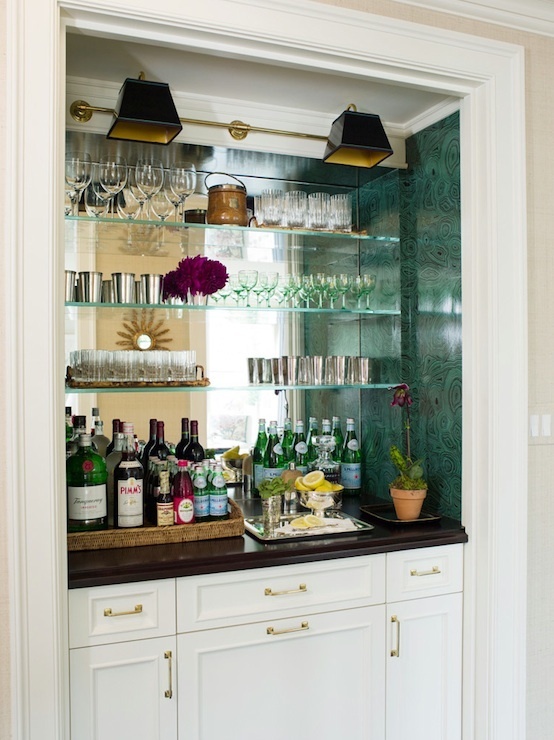 Do like Ashley Whittaker and use green wallpaper in a bar nook...seriously in love with this space. 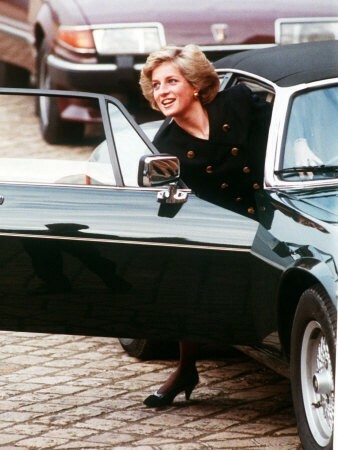 ...and my favorite dream car from the 80s, a convertible Jag in Racing Green. See you next time!!! If only that Ralph Lauren Bag wasn't imported, I would consider it. BUT, I am on a buy local (or at least American) year of discovery. 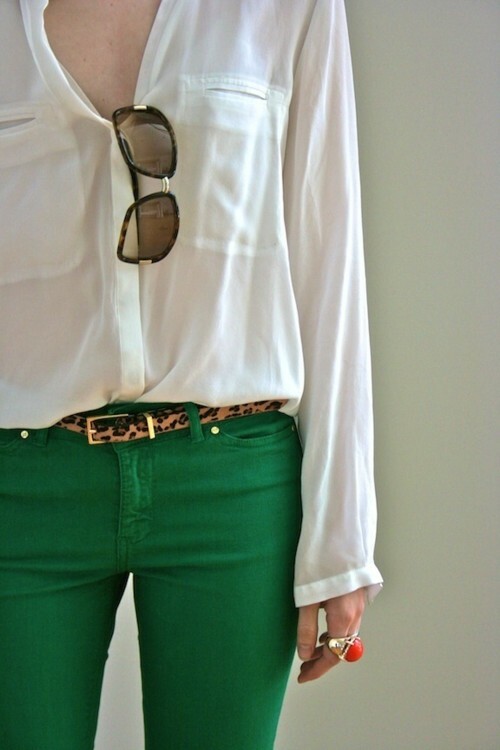 I'm loving green right now too! 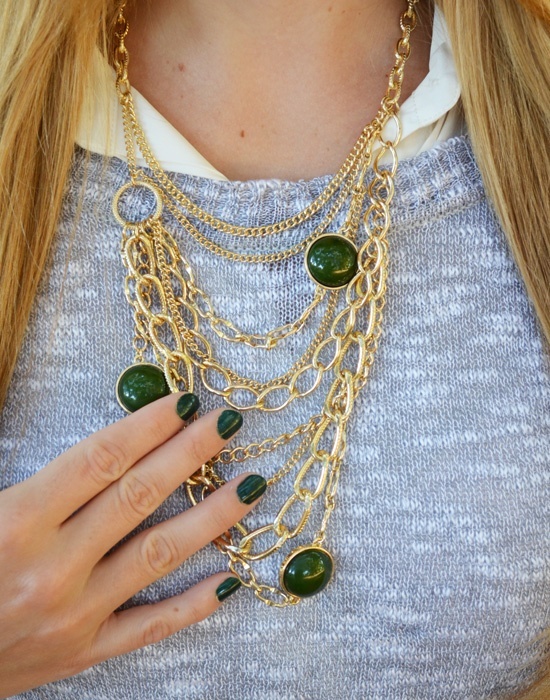 Did you hear that Pantone named Emerald the color of 2013? 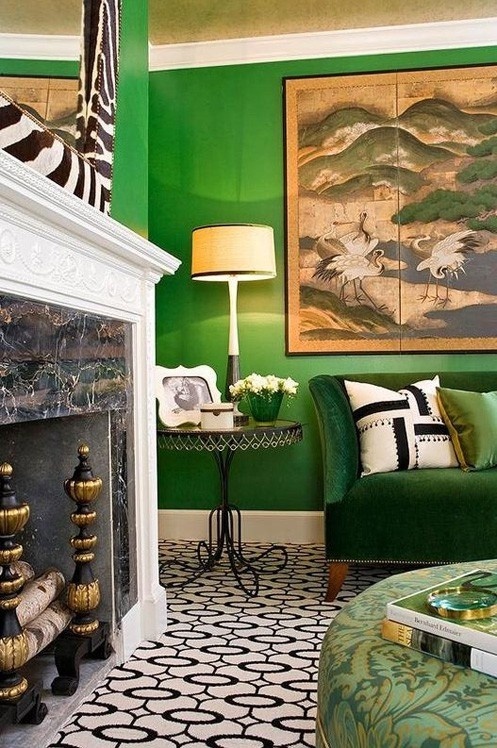 Not really a fan of green, but this inspiration is making me like it a bit!